The Entertainment and Sports Arena is a 4,200 seat, 120,000-square-foot arena that is home to the Washington Mystics and the new NBA-G League team, the Capital City Go-Go. It is considered a major economic win for D.C.'s Ward 8. 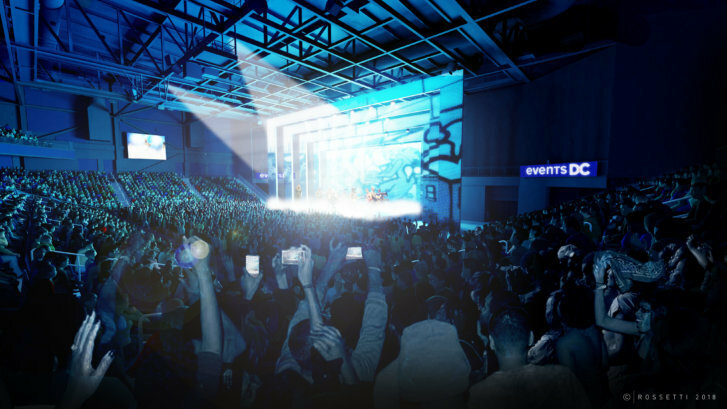 WASHINGTON — The District will cut the ribbon at the city’s new Entertainment and Sports Arena on St. Elizabeths East campus in Congress Heights on Sept. 22, and the first two concerts will follow in October. On Oct. 6, Mary J. Blige, the Grammy Award winner and 2018 double Oscar nominee, will perform, along with singer/songwriter Jacob Banks. On Oct. 13, Grammy Award-winning rock band Cage the Elephant is scheduled to perform, along with hip-hop band Judah & the Lion. Tickets for both shows will be available on Ticketmaster starting Sept. 14 and doors open at 7 p.m. The Entertainment and Sports Arena is a 4,200 seat, 120,000-square-foot arena that is home to the Washington Mystics and the new NBA-G League team, the Capital City Go-Go. It is considered a major economic win for D.C.’s Ward 8. “The Arena is in the heart of one of DC’s most important communities — Congress Heights — and will create a much-needed economic boost and significant expansion of sports and entertainment to a new corner of the city for residents and visitors to enjoy,” said Events DC board chairman Max Brown in a statement. The District estimates the arena will produce $90 million in new tax revenue over the next 20 years and attract more than 380,000 annual visitors per year to the Congress Heights neighborhood.